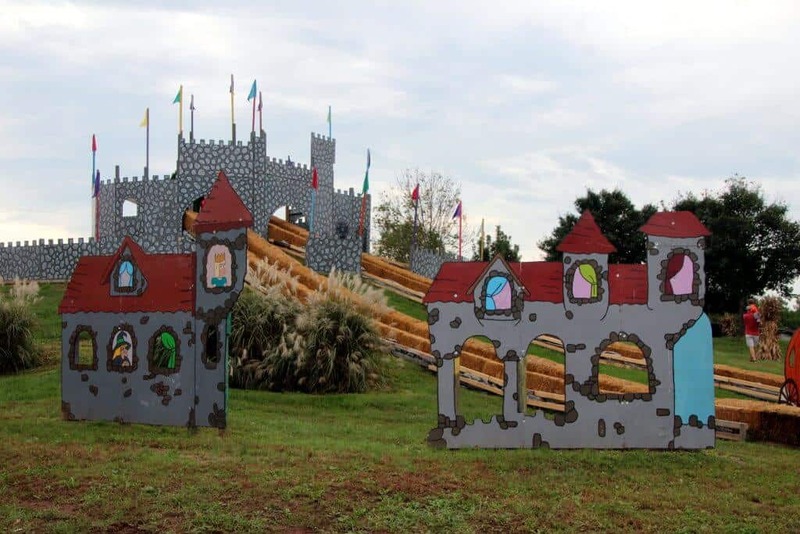 There are so many amazing Fall Festivals in Virginia and in the DC area, so it’s hard to choose which one to visit. 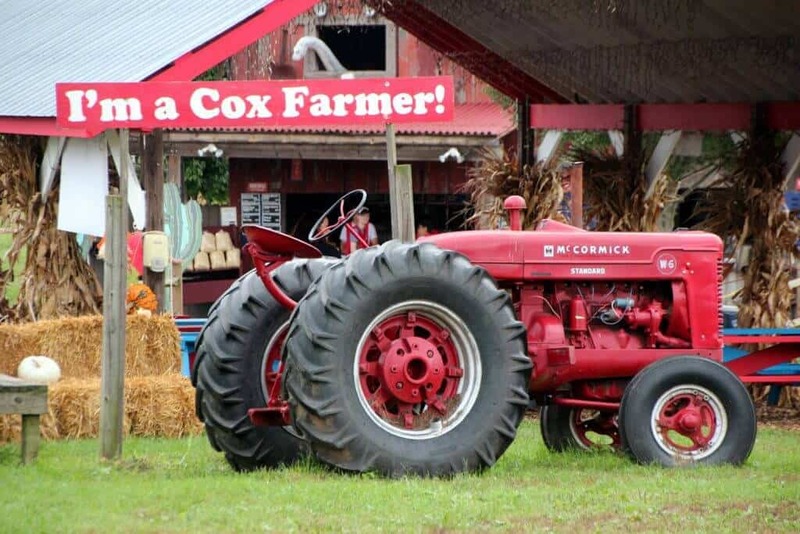 Most families in the area know and love Cox Farms. 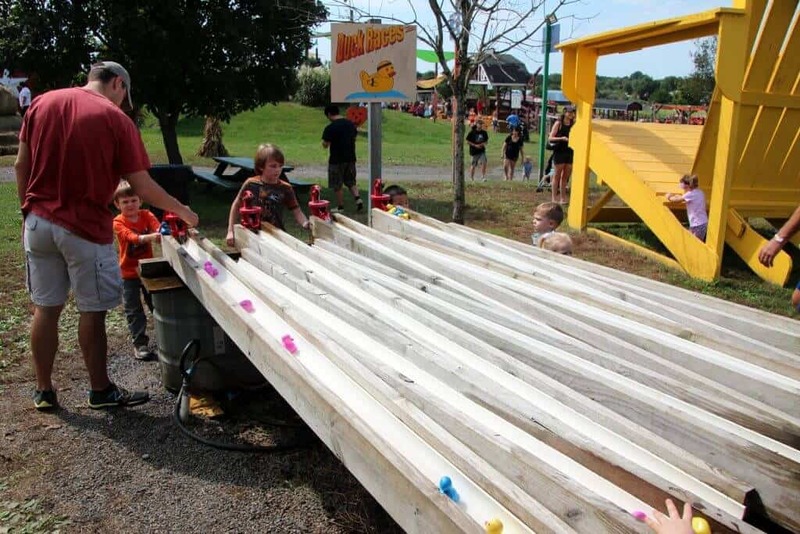 Generations of families have gone year after year enjoying its array of family-friendly fun. Our family is just starting that tradition and we hope our tips will help you enjoy a perfect day at the farm. 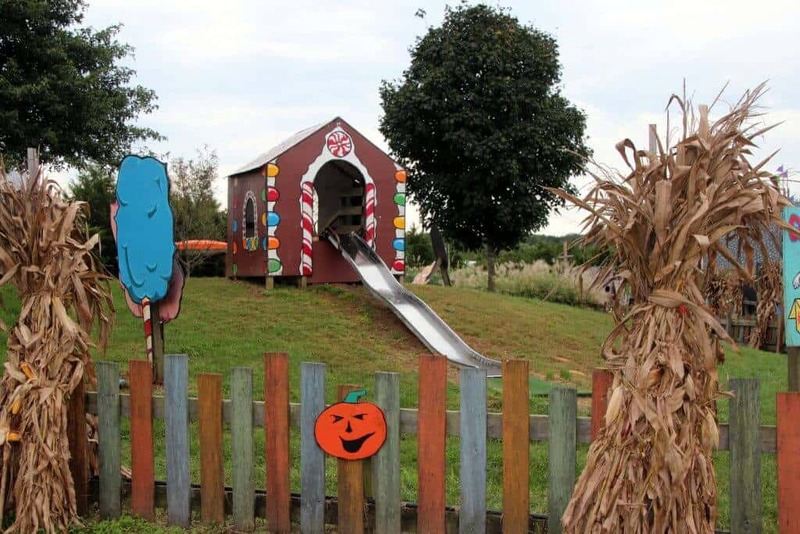 Cox Farms is located in Centreville, close to the Dulles Airport. Here is the address: 15621 Braddock Rd, Centreville, VA 20120. It was about a 40-minute drive from us in the Alexandria, VA area. Open Daily from 10 AM-6 PM. Check their facebook page or website for closings due to weather. 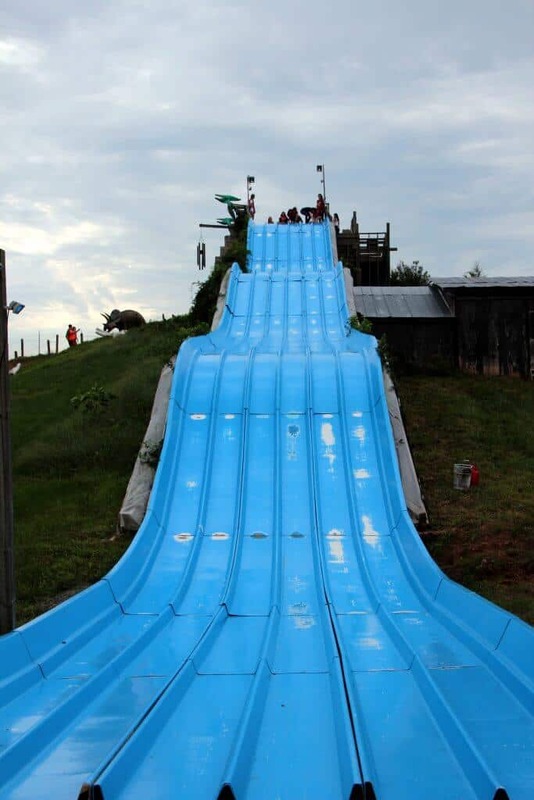 Slides will close during rain. It is easy to follow the well-placed signs into the large grassy parking areas. There are parking attendants to help you find a spot. The parking spots have even been painted out with white spray paint. Doesn’t get much easier than that! We always arrive 10-15 minutes before an attraction opens. That means we get parking close to the entrance and have time to grab tickets and use the restrooms. There are multiple options for purchasing tickets. Check their website for up to date pricing, including discount days, special weekend pricing and peak weekends. We picked the Public Servants weekend, which offered $5 off up to 4 tickets. 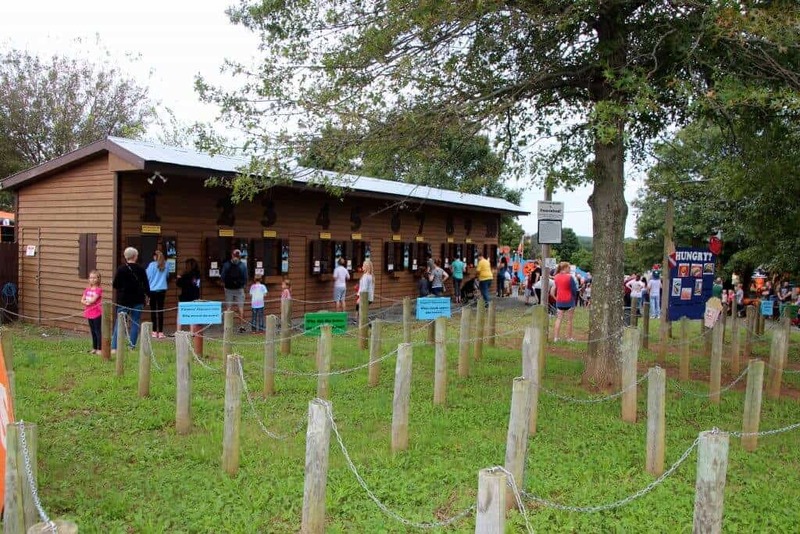 That changed the price from $15 to only $10 per person (children 2 and under are free). This is a great option for military, government, educations, police officers and the like. We had to wait to purchase tickets at the ticket booth to receive the discount. You can also pre-purchase tickets online and there is a separate line to exchange your vouchers for your wristbands. 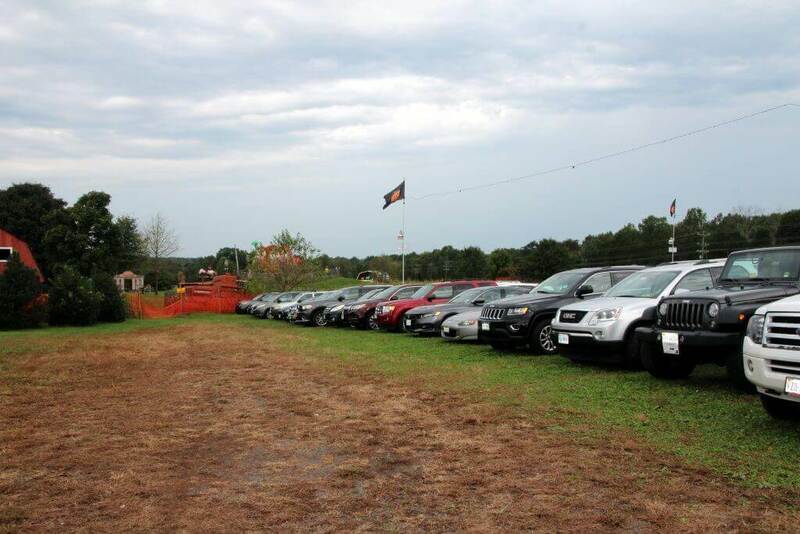 The lines can get really long, according to the amount of roped-off line space, so arrive early on a busy weekend. Looks like most weekends in October are busy. If the lines are long, have one parent wait while the other parent tends to the kids. There are tractors to explore, wooden structures to climb and usually a few sponsored tents to visit. You can also plan your day with large maps posted on signs. The farm grounds feature gravel, dirt and grass paths with various hills and valleys, but it is doable with a nice stroller. I wouldn’t recommend an umbrella stroller due to the outdoor terrain. We also saw plenty of wagons (which are a favorite in this family), double strollers and single strollers. Baby carriers also make it easy to navigate all the fun attractions. Bring drinks, snacks, and a picnic if you desire, there aren’t any restrictions. I wouldn’t worry about a picnic blanket, there are many picnic tables and benches to enjoy your meal. Don’t forget a hat or sunscreen on sunny days. I’ve included my recommendations for brands from Amazon. We didn’t notice any issues with bugs, so I think you’d be ok without bug spray. Where to start? 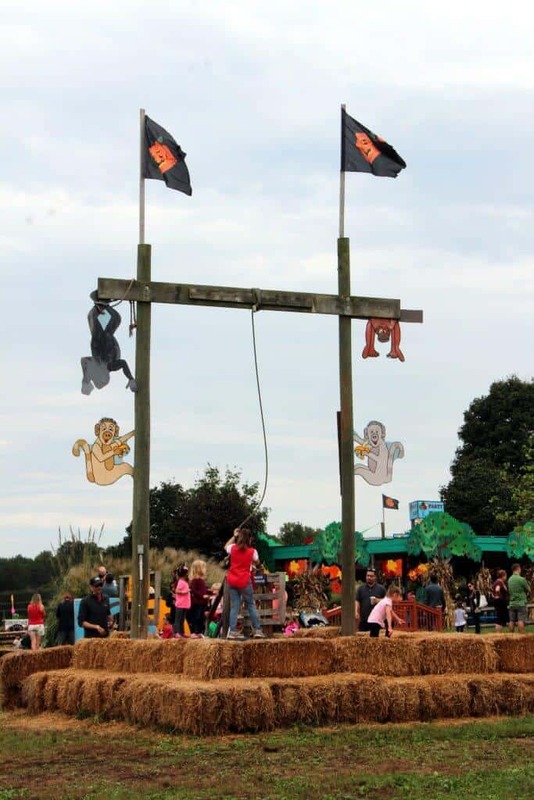 Cox Farms is packed with fun! Slides: Cox Farms features seven large and equally unique slides, in addition to many more smaller slides off a variety of structures, including a pirate ship, old-fashioned fire truck, bulldozer and more. Our favorite slides included the Dino slide. 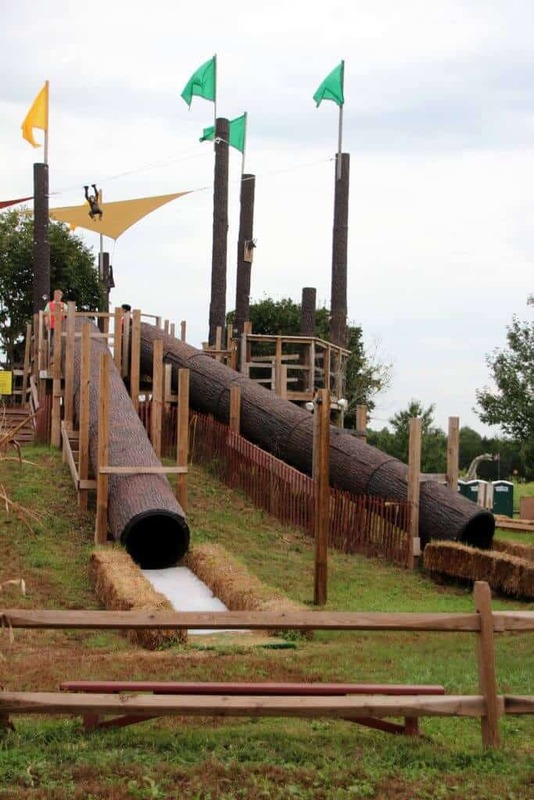 This is the largest slide at the farm. 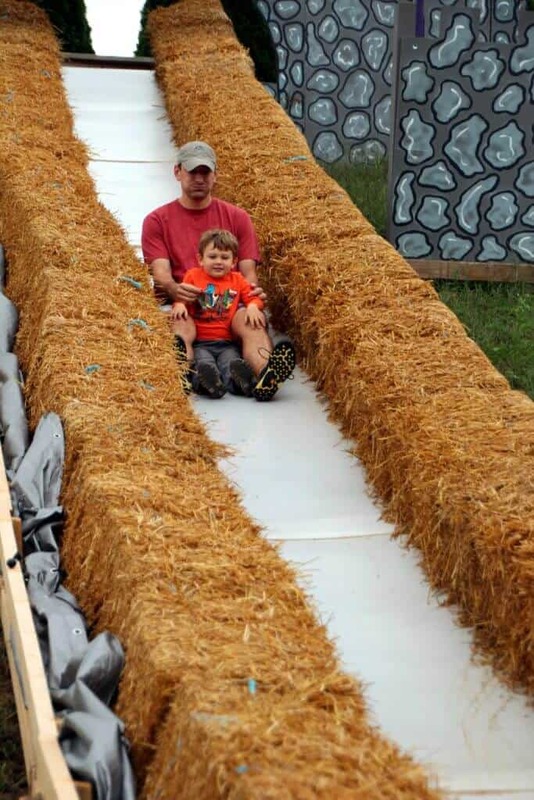 It features six lanes as you zoom down the 142 long slides on a burlap sack. Little ones can enjoy the thrill nestled into their parent’s legs. If you want to catch this slide without a line, I’d head to the back of the park and ride this one first. 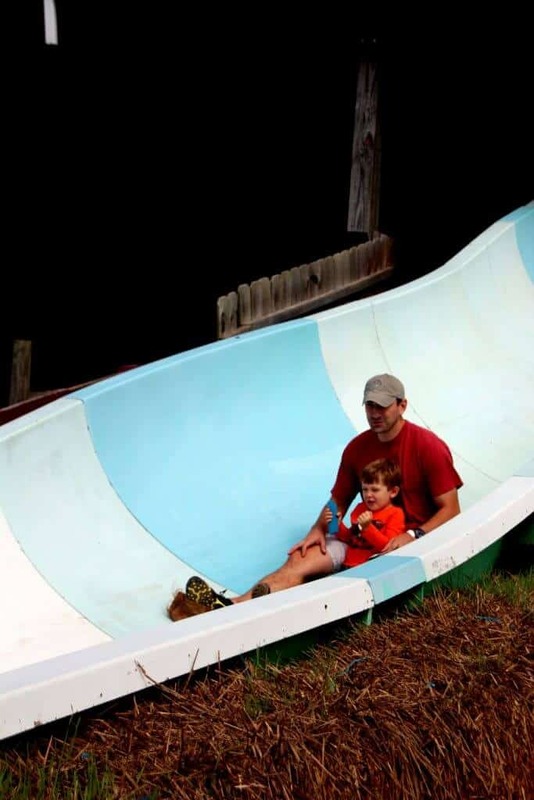 Our sons favorite was the treetop slide. It’s an easy climb up the hill and then a quick rumble down the bumpy slides. No burlap sac required and the attendants at the top of the slide are great about managing the little ones venturing off on their own. 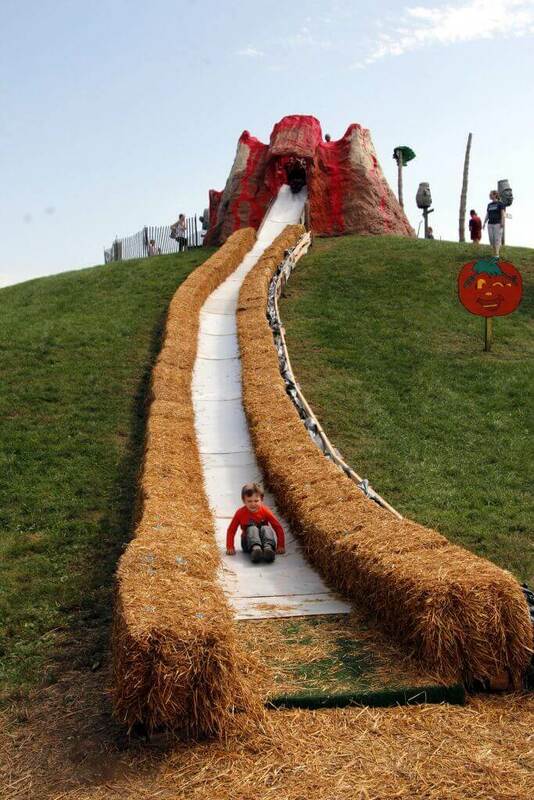 A unique slide was the Barn Slide. 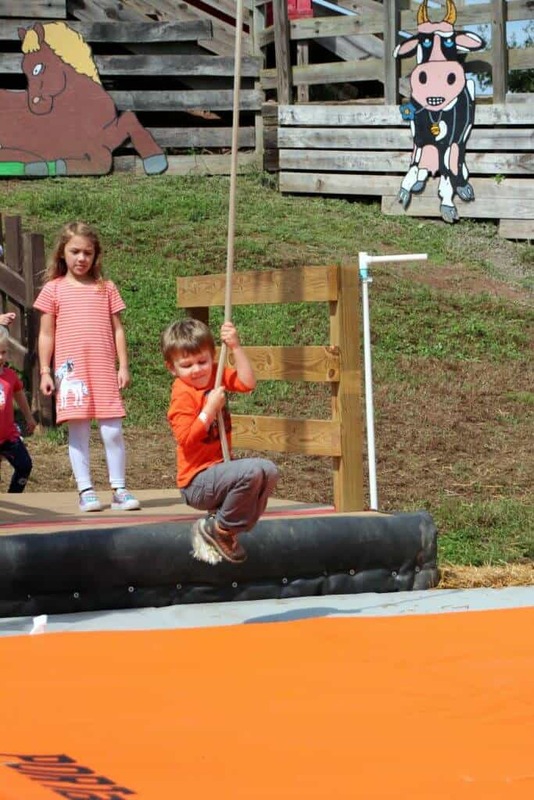 You’ll climb to the top of the barn, go through the line and then jump on a burlap sack to fly down a wide luge style slide. Be careful that you don’t tip over on your way up the side! 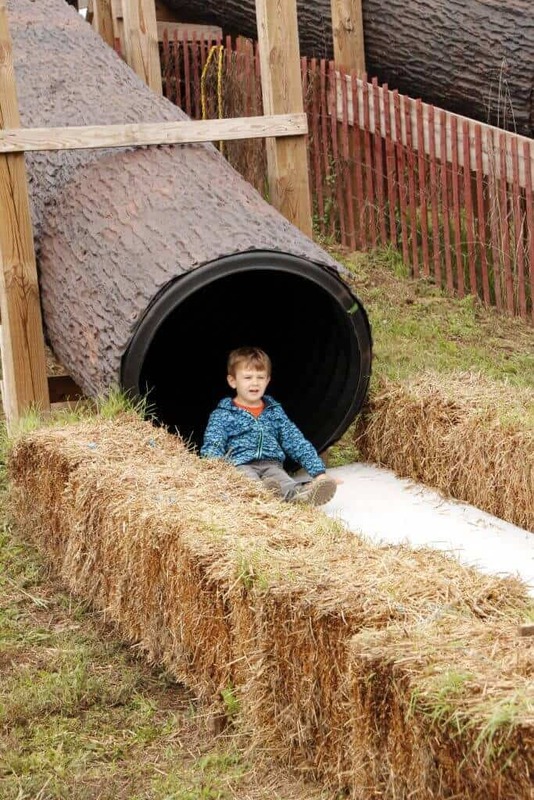 The rest of the slides feature cox farms traditional set up with a plastic luge bordered by hay bales. Try them all and see which one you like best! 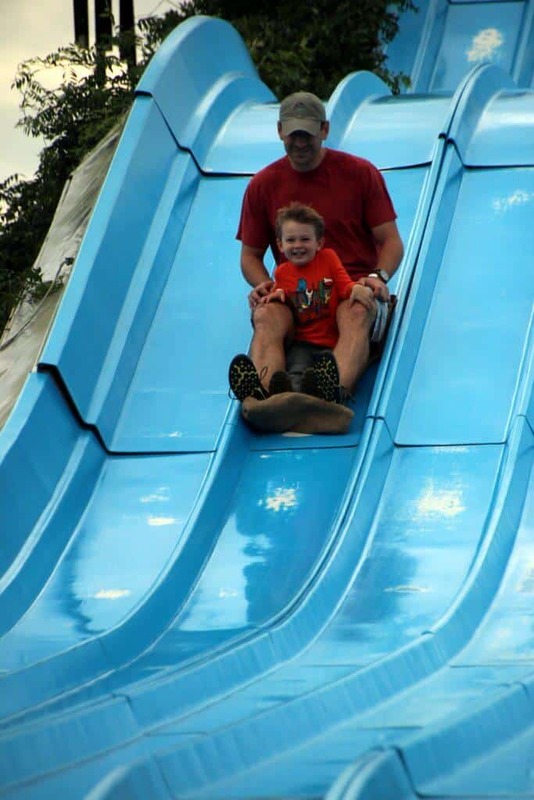 TIP: The slides close if it rains, so best to avoid rainy days. It did sprinkle for 30 minutes during our visit, but we occupied the time with a wagon ride and lunch. RIDING WITH KIDS: If you have little ones, make sure you tuck the child between your legs, including their legs. 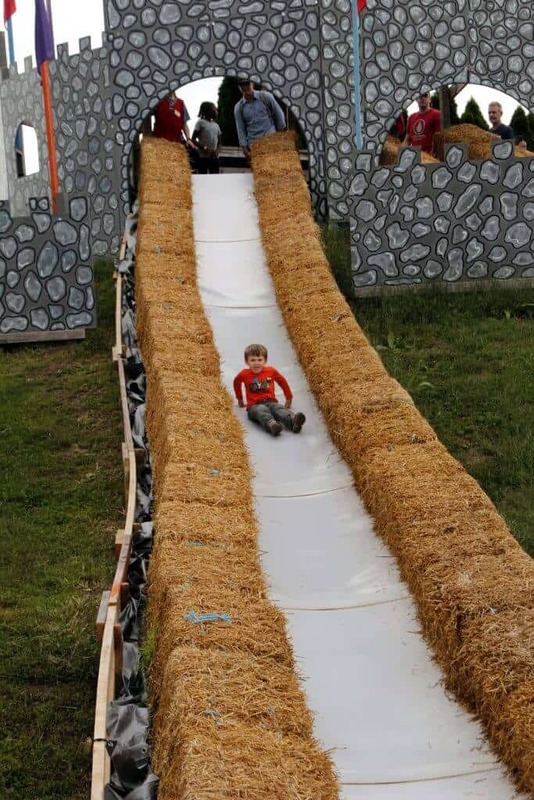 The slides curve and you don’t want the child’s foot to catch on a hay bale and twist you (and them) into an awkward position. There is also a higher chance of hurting your child’s leg with the combined forward force. Swings: There are two huge swings for little and big kids enjoyment. The little kids swing has a maximum height, best for the under 6 crowd. This swing is located near the Kiddie play zone. There is also a larger swing for the big kids and adults. Both feature a soft landing area and attentive staff to make sure everyone enjoys a safe swing. 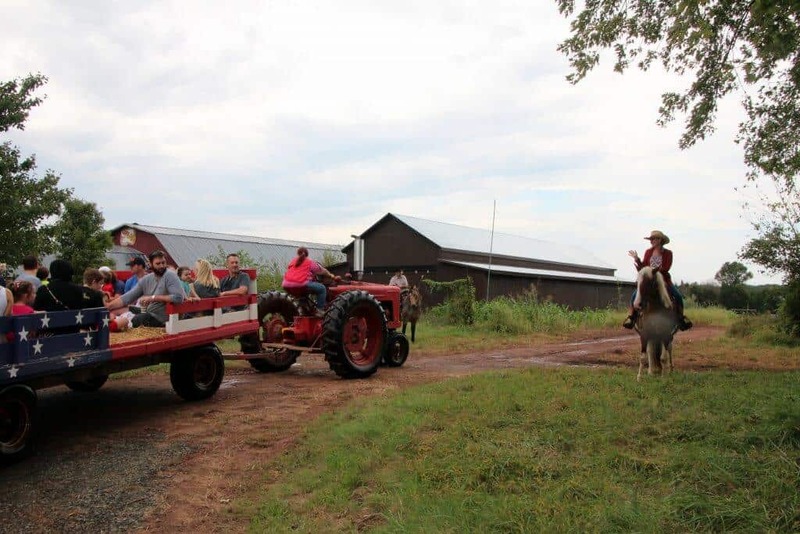 Hayride: An iconic part of visiting a Fall Festival. Cox Farms knows how to do it! An antique tractor with two huge trailers covered in hay. The lines can get long on a busy weekend, but Cox Farms does an excellent job of keeping everything organized. Wait in the line, then divide into two grouping (the right side is for the front trailer (close to the tractor) and the left is for the back trailer). They have multiple tractors to keep lines moving. 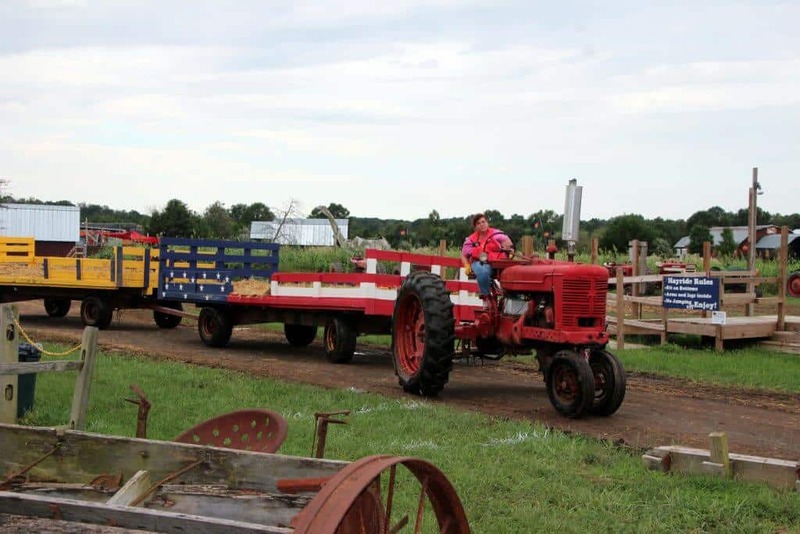 Once aboard, you’ll settle into the hay (no seats) and begin your 20-minute ride through cornfields, forests, barns and mud pits. The hired staff does their best to keep little ones entertained. I won’t spoil the ride with too many hints, but it’s cute. 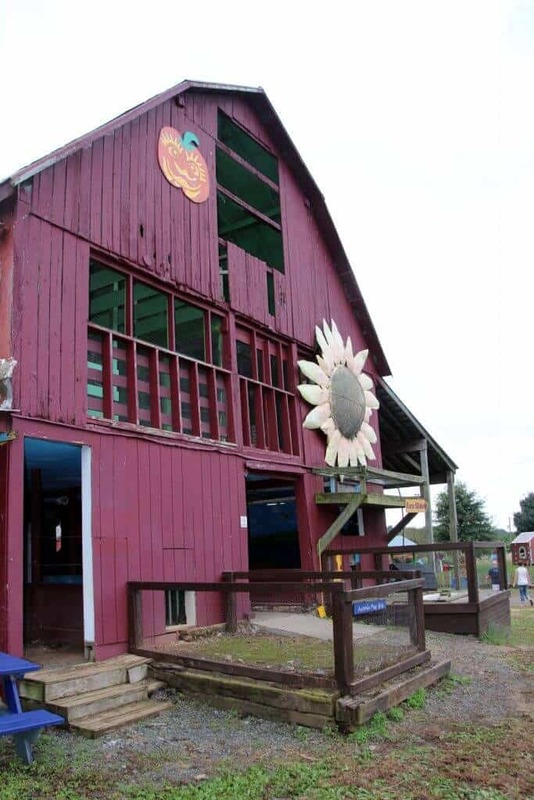 If your child loves horses, don’t miss the hayride. They will get up and close with some of the resident horses. No strollers (find stroller parking), but little ones in car seats are allowed to board. TIP: Bring a snack or two to keep little ones occupied as they enjoy the ride. If you don’t like the feeling of hay, wear pants or bring a blanket. 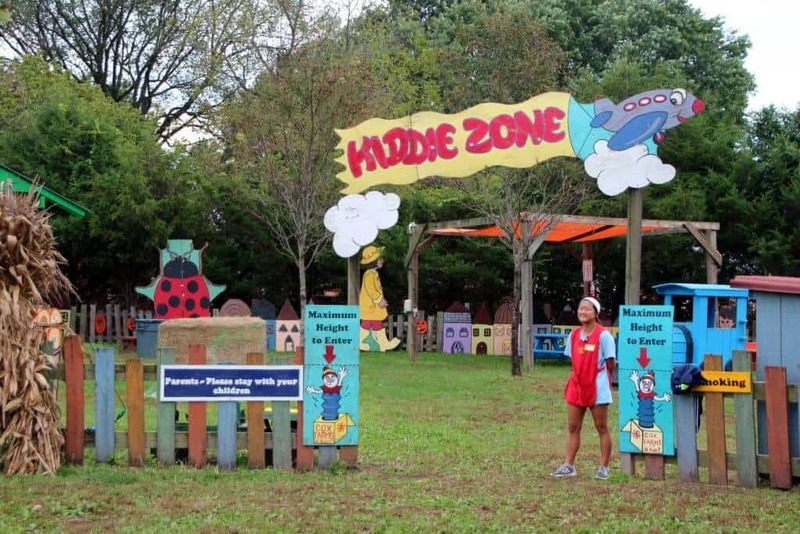 Kiddie Zone: This is the spot to bring your toddler! A fenced-in area with everything miniaturized for the little ones. 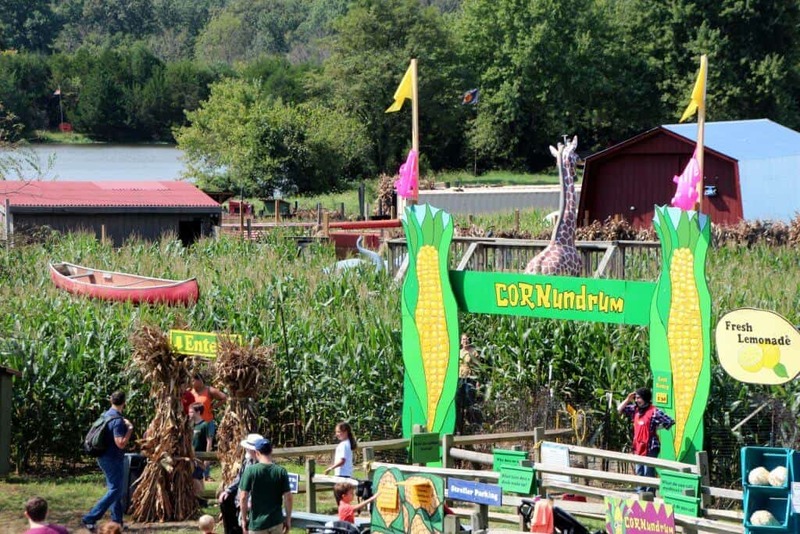 Explore a train, play in the corn, crawl through tunnels or play with the bubbles floating through the air. There are also plenty of benches and shaded areas to rest. Just outside the fence are two pirate ships and the castle slides, so if you have a mix of ages, you can stay with the little ones while still being able to see the older children. Corn Maze: Cornundrum, ok, so maybe I should have said it was a maze. 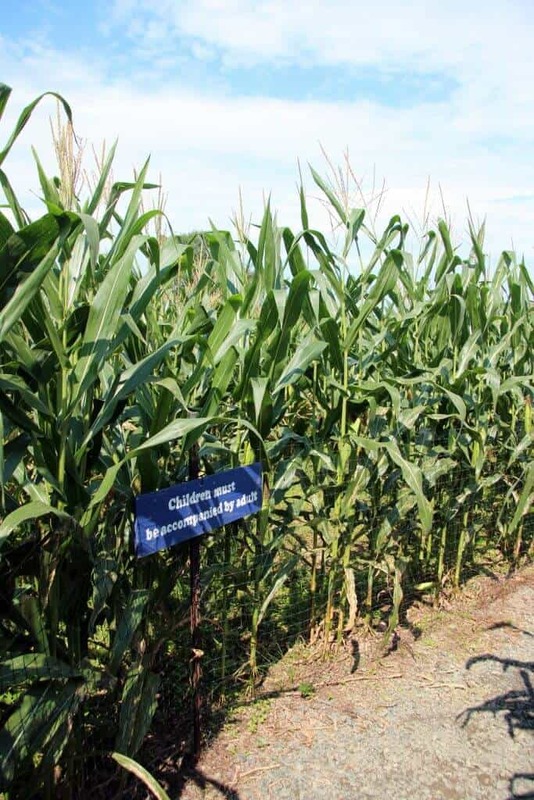 It’s really a nice walking path through the cornfield with fun attractions along the way. Explore the rotating tunnel illusion inside a bus, or walk through a pumpkin with all its seeds and guts! It takes about 15 minutes to explore the pathway, depending on how slow or fast your little ones can go. No strollers (find stroller parking), so bring a carrier for the little ones. The path is mostly flat, but there is a tipping bridge, so be careful and hold the rail. Animals: Ok, I’ll admit, I am an animal lover and the animals were a highlight for me! The animals are scattered throughout the park and were all very friendly. We found some sweet little baby piglets located near the barn. 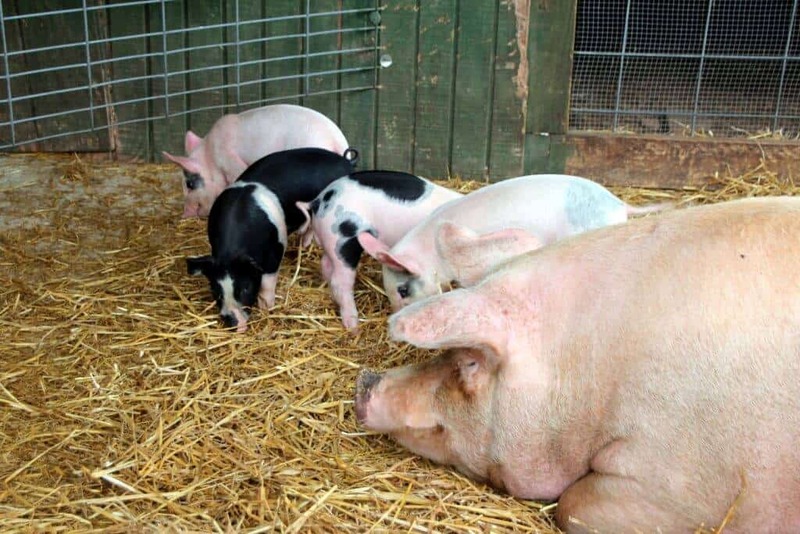 Momma pig was enjoying a rest with all the little ones scampering around her. There were also bunnies just inside the barn with an attendant to tell you about the animals. Circling the Dino slide were the sheep and off by the hayride were the milking cows. We were delighted to find two sweet calves. Momma cow kept a watchful eye as children said hello to her sweet babies. 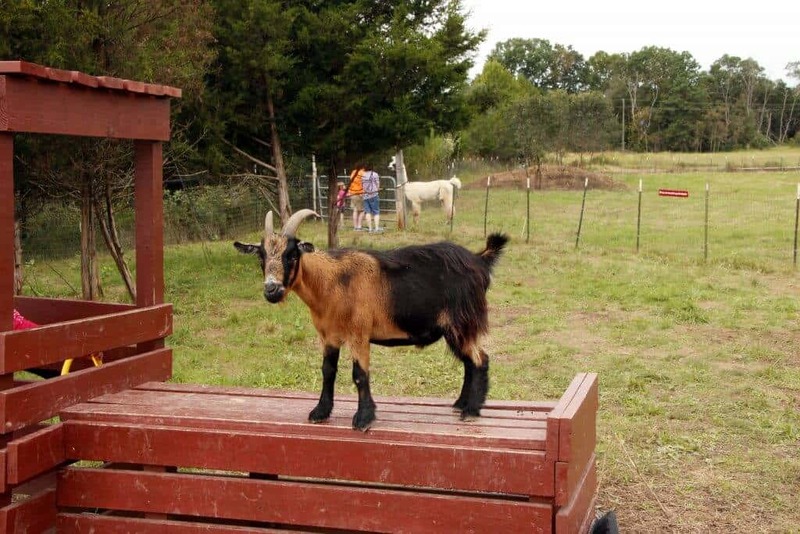 Located in the top left of the farm is where the goats roam. You can buy an ice cream cone full of hay and animal feed for $1. Hold the cup above your head and quickly walk down to enjoy some feeding time. 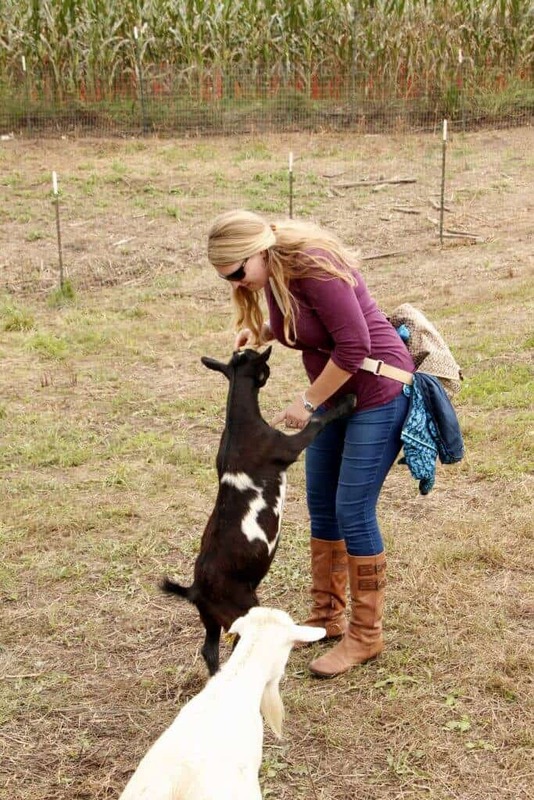 Be careful with little kids, some goats were better behaved than others. 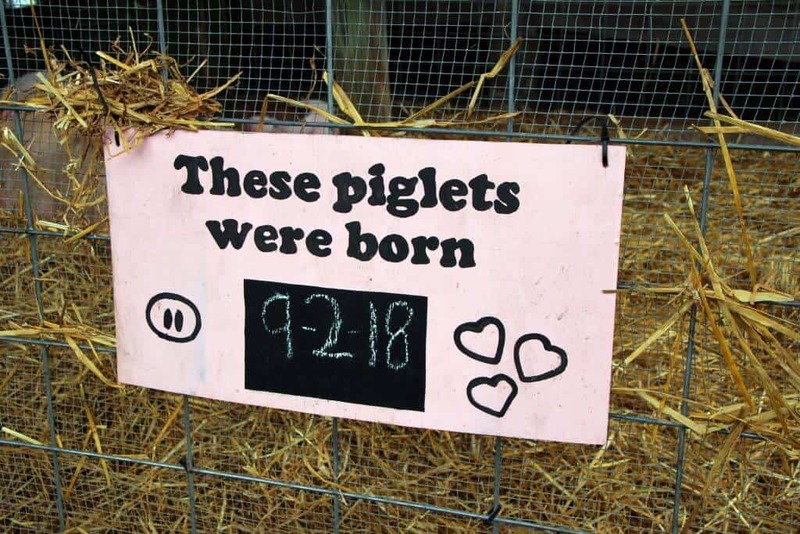 It’s a fun activity for the animal lovers in the family. There is also a llama near the back of the goat area, chickens, more bunnies and older pigs around the grounds. 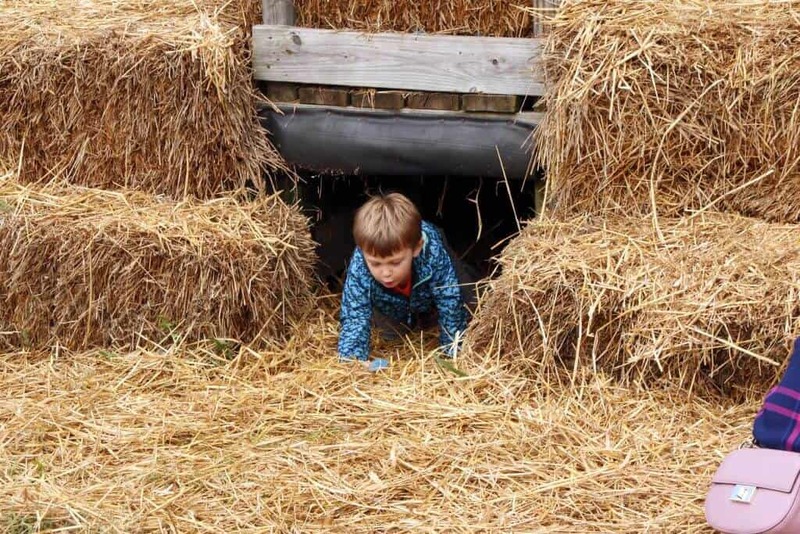 Hay Tunnels: Do you kids love exploring, jumping and climbing? Then check out the two different hay tunnels. One is near the entrance of the farm. It is the largest of the two. The smaller one is located close to the kiddie zone. Both were fun to explore for our little guy. We appreciate the fencing to make sure our little one didn’t escape. Once in the tunnels, it’s hard to keep track of them. Music: Hit the stage area to soak up some good ole’ farm music at the farm. They have an entertainment stage calendar if you want to pick a certain genre. As soon as our son heard the music, we were quickly headed over to check out the band. Air guitars are also provided (free of charge)! Another favorite thing about Cox Farms is your ability to bring your own food! Pack a few snacks or an entire picnic, totally up to you. You can even plan a party and use their multiple pavilions with picnic tables. We saw multiple families setting up for a birthday party or get-together. Just plan to arrive early to snag a few tables. Bring your own decorations and voila. 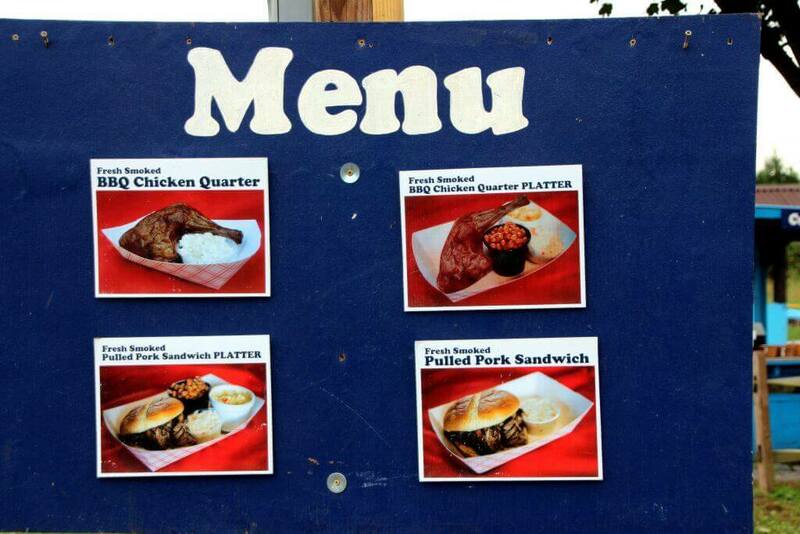 There are multiple food options scattered throughout the farm. From backyard basics (hamburgers/hotdogs) to BBQ, kid-friendly options (grilled cheese, PB&J), nachos and sweet treats (donuts, kettle corn). Something for everyone! We chose to eat at the BBQ spot. 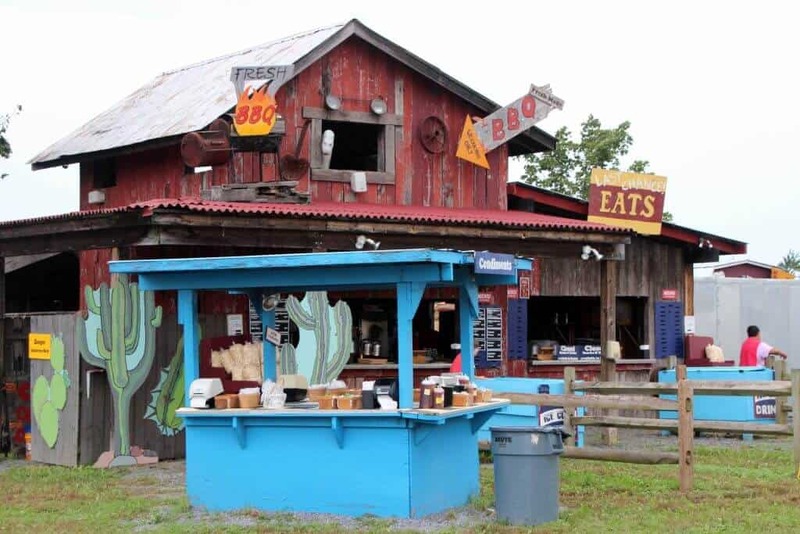 It is only open on the weekends and features chicken, BBQ pulled pork sandwiches, hot dogs and potato salad. We liked the BBQ bar where we could select our own sauces (Sweet Baby Rays), yum! 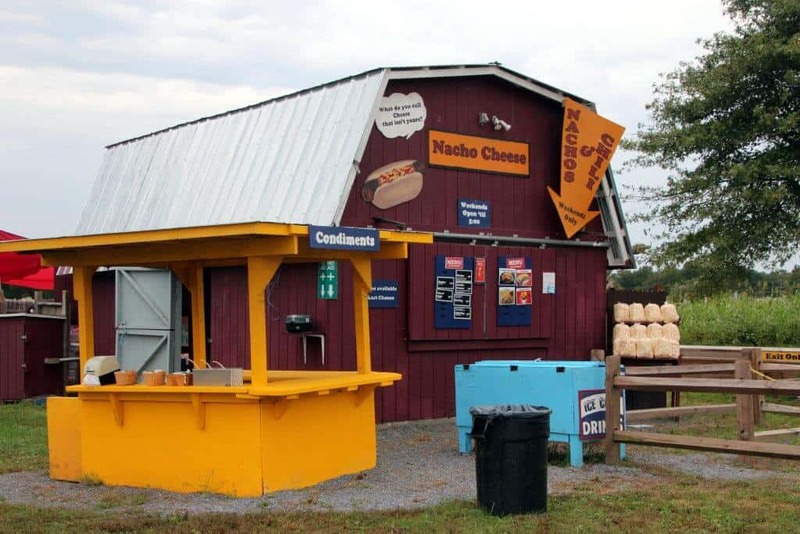 Most vendors take credit cards, but a few only allow cash, so grab some cash before you arrive (or use the ATM’s located on the farm). 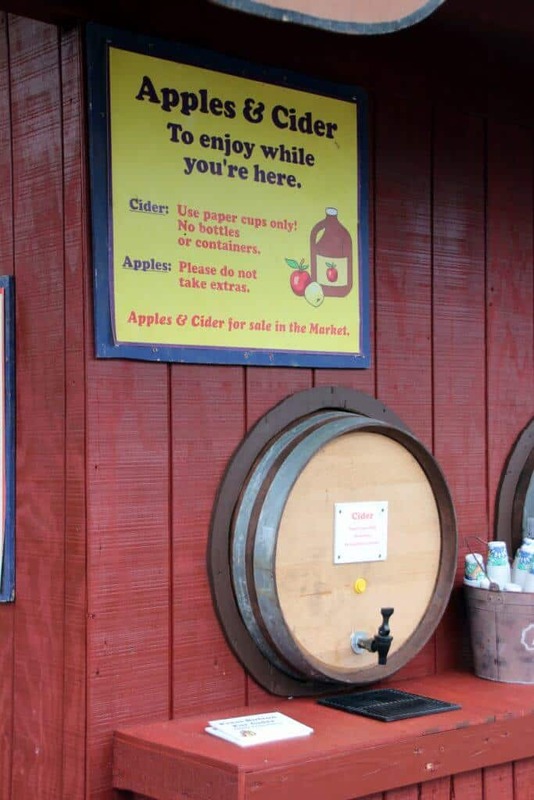 You can also try their famous apple cider for free at the tasting center. Need a snack? Free apples provided thanks to some local orchards. I told you this place is packed with family-friendly fun. But guess what? There is more! 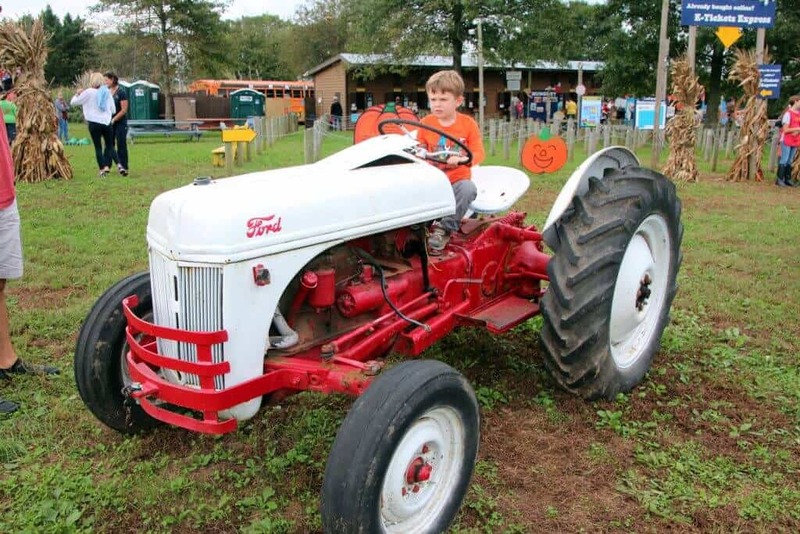 Do you have a tractor lover? 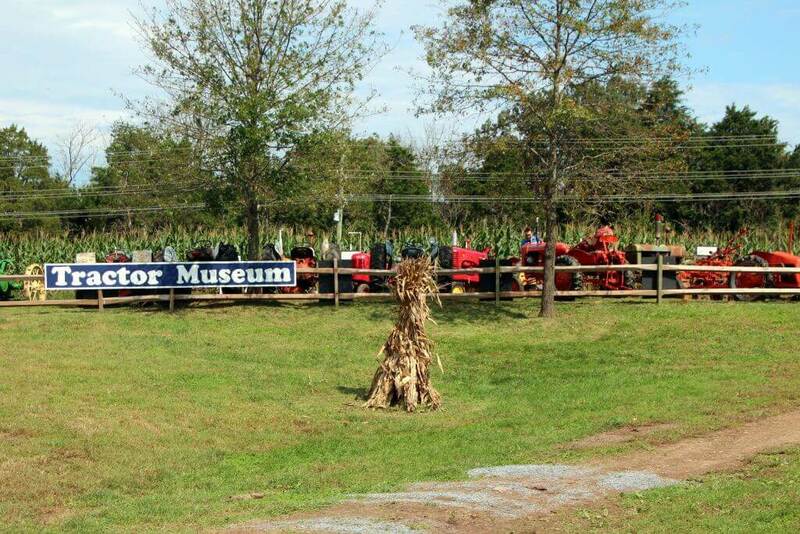 Check out the tractor “museum” where you can climb up on old-fashioned tractors. Some of the levers and doors even still work. Want to go for a walk? Explore the Imaginature Trail. Don’t have time to hop a plane to England? That’s ok, Cox Farms brought Stonehedge to you with their life-sized version in foam! 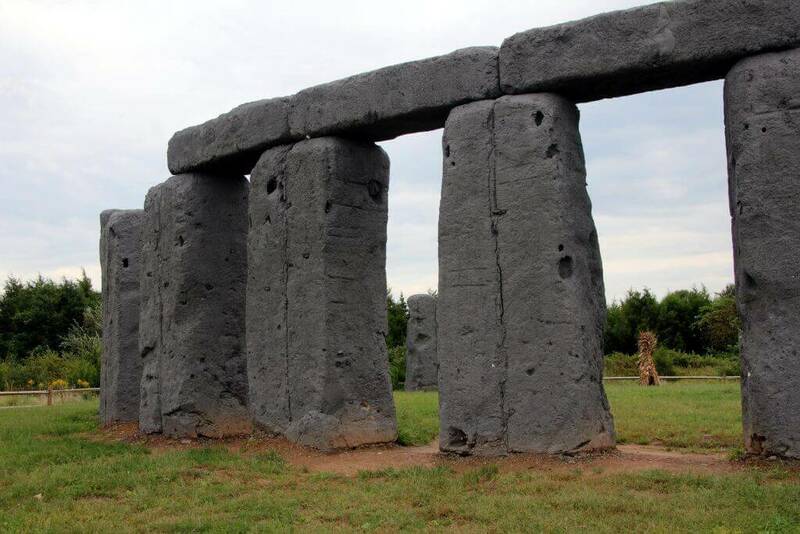 Foamhenge, as it is lovingly called, is perfect for anyone who wants to enjoy the experience. A lifelong love of learning? Check out all the educational slipboards and boards. 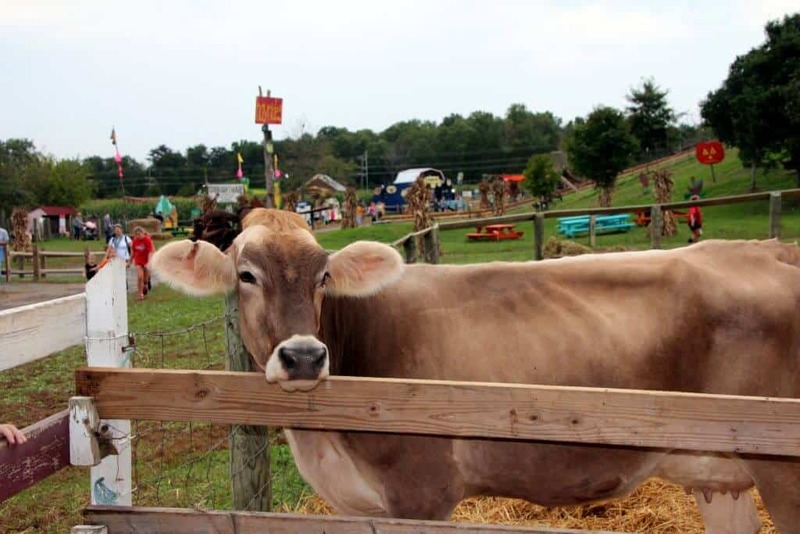 Learn where pumpkins come from, how to milk a cow and more! Ever wanted to become a miner? Make sure to come on the weekends and for an extra fee, you can mine for fossils and gems. Take part in a family boat race. Lots of laughs pumping water to propel the ducks down to your child while they hurridly pump the ducks back to you. Round and round we go! 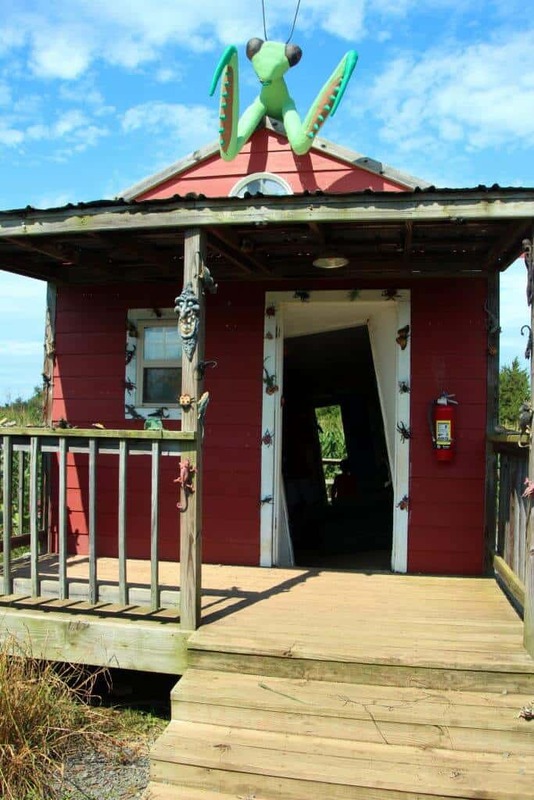 There are bathrooms located throughout the farm. 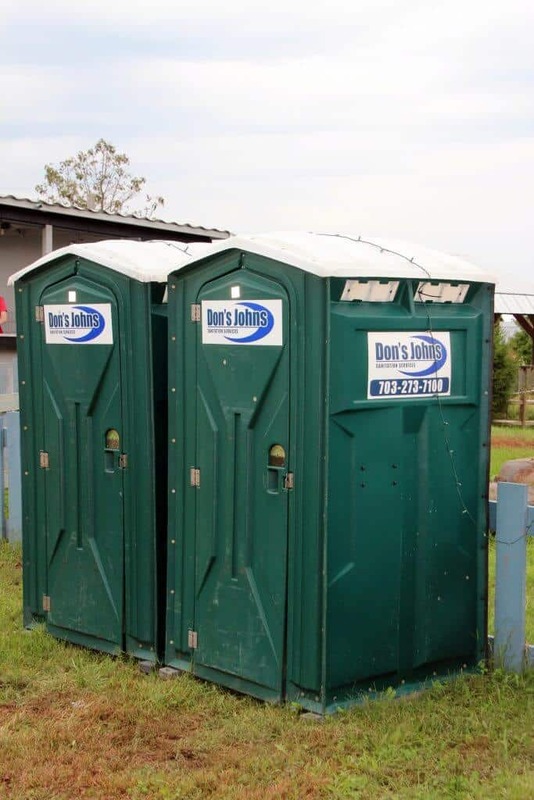 Unfortunately, they are porta-potties, but they are washed down each day and were relatively clean. I’d suggest bringing hand sanitizer and wipes to keep everyone healthy. Cox Farms is supporting families with their Family Rest Stop. You’ll find it located near the Kiddie Zone. You’ll see a white latticed area with a place to sit to feed your baby without distractions, a diaper changing table, and an outlet if you need to pump or warm a bottle. 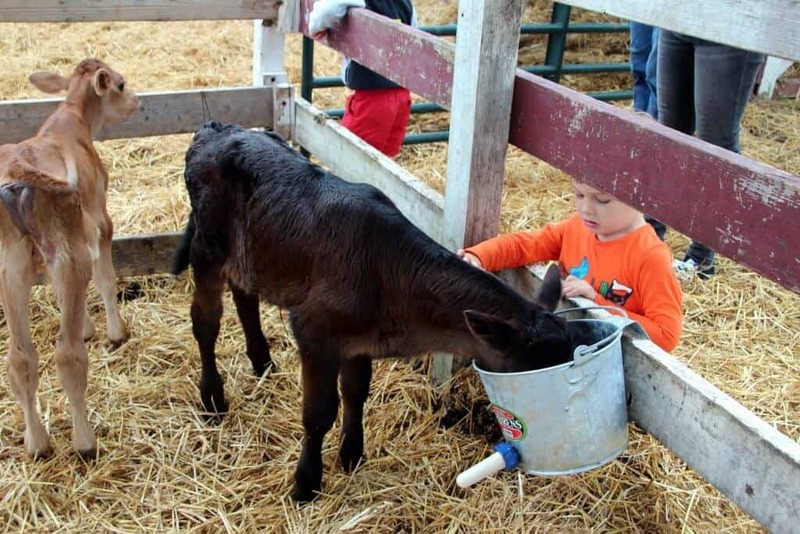 Thank you Cox Farms for supporting families with little ones! 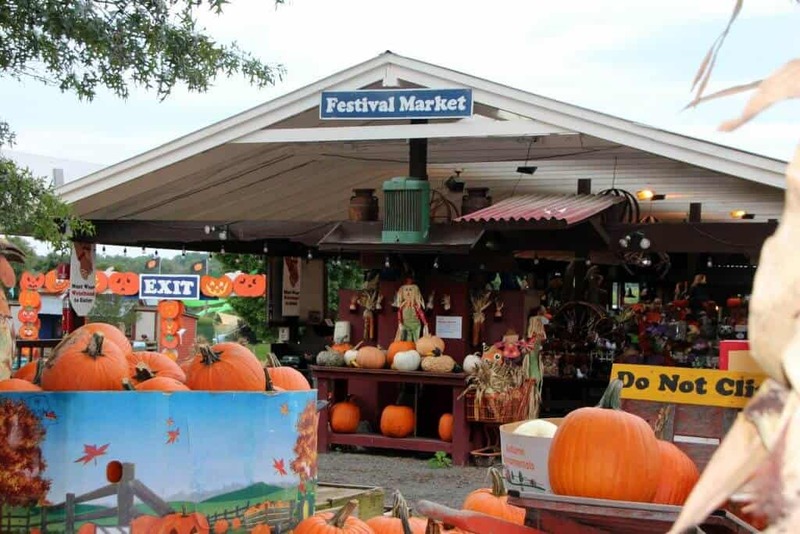 Once you’ve ended your day of fun, you’ll head over to pick up a FREE pumpkin (we saw some carvable sizes) and explore the market. Lots of great goodies and snacks for the ride home. We really enjoyed our day at Cox Farms. we ended up staying from 10 am-2:30 pm. We could have easily stayed longer if our almost-four-year-old wasn’t ready to pass out from all the fun. 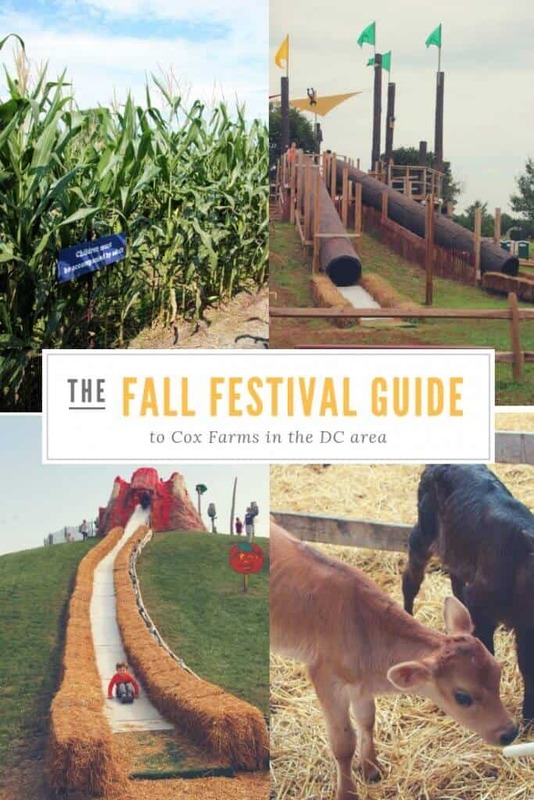 Honestly, you could easily enjoy two days at the farm, but with so many amazing Fall Festivals in the DC area, we will be off to explore (and blog) about another one next weekend. Is Fall one of your favorite times of the year? I know it is mine. Time to break out all the cozy sweaters, roast some smores on the fire and carve pumpkins with the kids. If you’d like to stay up to date on all of our fun family adventures, like me on facebook or subscribe to my newsletter. Comments are welcome! Or perhaps I can inspire you with some of our other family trips, head to the destinations page to see where we’ve been! Great article about Cox Farms. My kids went to the Haunted House last weekend. My 10-year-old had a great time. My 8-year-old was not quite ready for this level of excitement. Thank you! The Haunted House sounds like an adventure for sure! My son would probably love it, he doesn’t seem to be afraid of anything. But me on the other hand, EK! 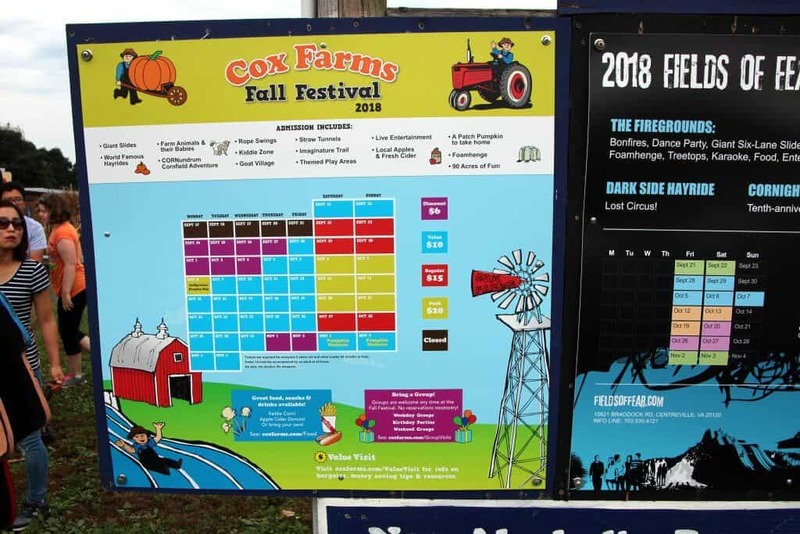 Do you have info on Cox Farms 2019 ? The Spring and Summer market is open as of April 26th on Friday, Saturday and Sunday from 10am-7pm Friday-Sunday. 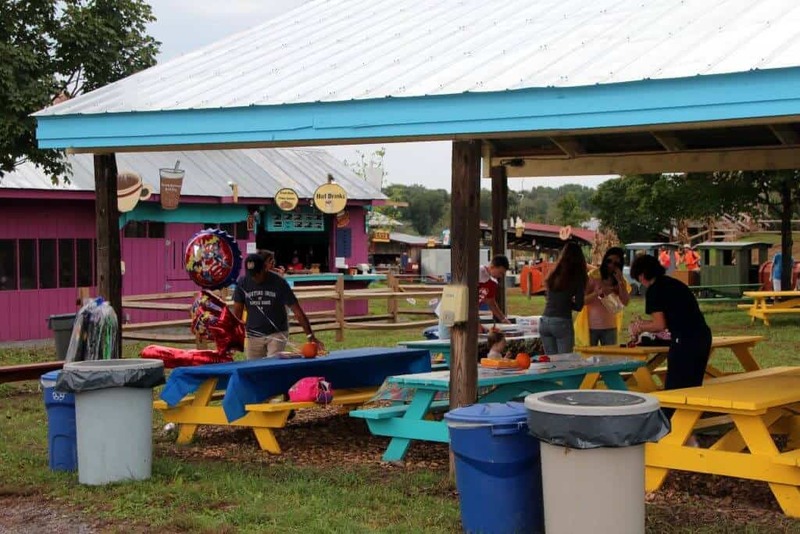 The Fall Festival 2019 dates will be announced in August of 2019. Hopefully, that helps!